Plantar fasciitis is a problem with the arch of your foot and causes pain in the heel. It has a few causes and knowing what they are means you can be proactive and avoid the problem. The reason Plantar Fasciitis is so painful is tears in the plantar fascia. These tears cause irritation and inflammation. One of the factors that increase the risk of developing Plantar Fasciitis is age. As we age it becomes more common. It’s most common for people between 40 and 60. Another is wearing shoes without arch support. So all you 40 to 60 somethings, wear shoes with good arch support! It is worth it to make sure you are using the right sports equipment. Another cause is certain types of exercise that put a lot of stress on your heel and arches. Things like dance aerobics, long distance running, ballet dancing and the like. Of course don’t stop exercising! That will then lead to another cause – obesity. Instead, make sure that you have good supportive shoes and replace them regularly. 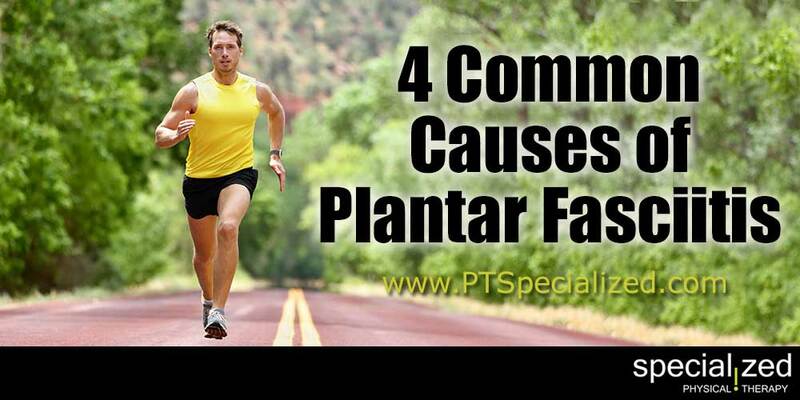 If you have foot issues you are more likely to get Plantar Fasciitis. Faulty foot mechanics in how you walk, being flat footed or having high arches all affect the way your weight is distributed when standing and walking. A tighter than normal Achilles tendon can be a problem, as are occupations that keep you on your feet all day. Things like being a factory worker, teacher, retail workers, waitress, etc. Knowing these things can help you avoid Plantar Fasciitis. Keep it in mind if you fall under one or more of those categories.